Time Capsule 2015: A contemporary time capsule ceremoniously interred to someday be unearthed by future generations. 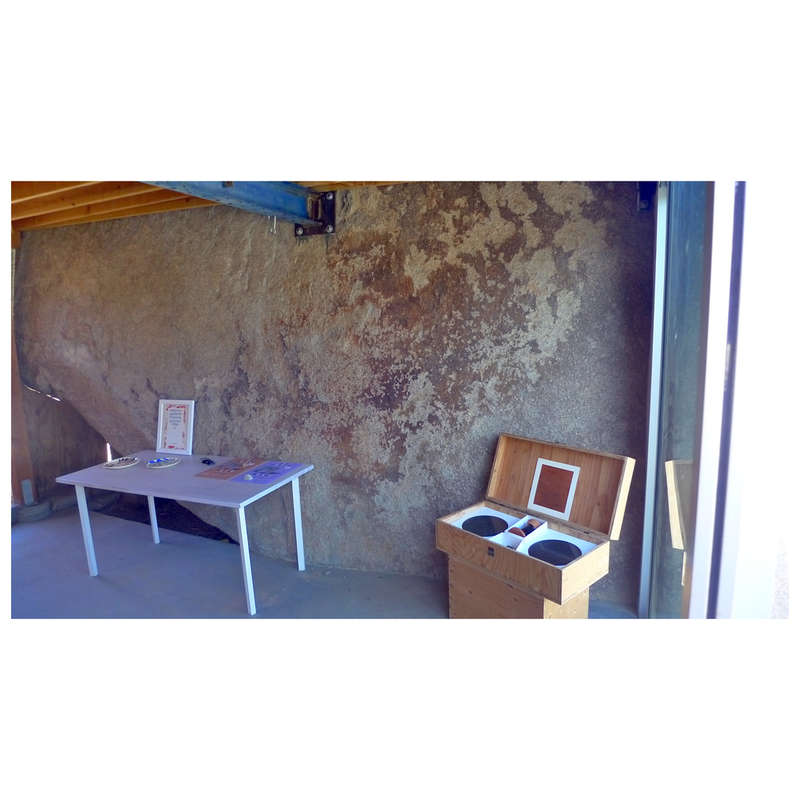 The time capsule includes a ceramic vessel inscribed with an audible speech; a message of hope for the future, two brass disks inscribed with sentiments of love, and a hieroglyphic message for instructing the future viewers on playing back the sounds. 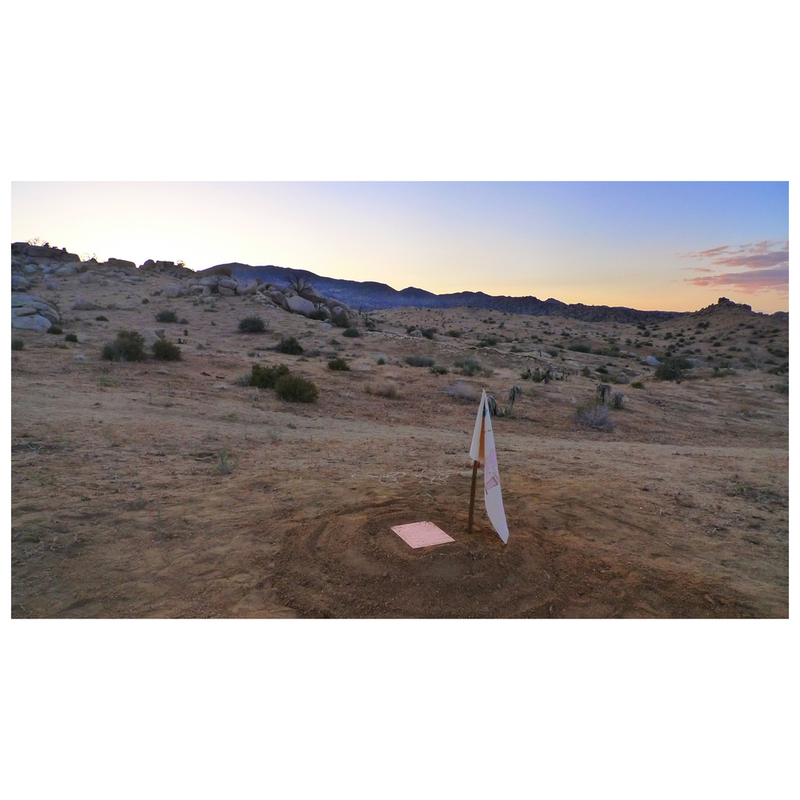 The time Capsule is buried at the High Desert test site in Joshua Tree, CA, with an estimated recovery date of May 23, 2055.